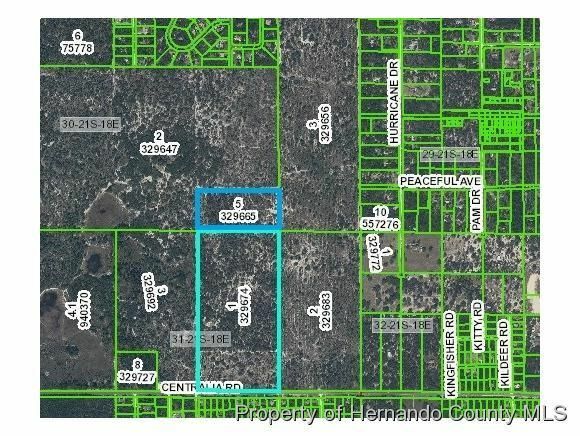 I am interested in 0 Centralia Road, Weeki Wachee, FL 34614.
adjoins 1000's of acres of Conservation land. Property approved for 76 1 acre sites, unique opportunity for a private and secluded homes only community. Everything west of the subject (other 19) is conservation land all the way to the Gulf of Mexico, 6 miles to the west. Subject property has over 3600 front feet on Conservation land. Wildlife is abundant making property a nature lovers paradise. Weeki Wachee High School is about 1.5 miles away. Water lines are close enough that a replat to 140 + homesites might be possible. Adjacent 200 acres is also available for sale. Historic Centralia Florida, named after a lumbering & agriculture town by the same name in Wisconsin. Some of the people that worked at the Hernando County saw mill lived in a settlement called Wiscon near Brooksville.